HOW TO GET A TRIAL IN SPAIN? WHAT DO YOU NEED TO KNOW BEFORE JUMPING IN? I WANT TO BECOME AN ELITE FOOTBALL PLAYER BUT HOW DO I GET A FOOTBALL TRIAL OR TRYOUT IN A PROFESSIONAL CLUB? We receive this question from aspiring football players from all over the world on a daily basis. It’s a concern that most youth football players have and our professional coaches have also faced this questions during their youth career. Therefore, at Soccer Interaction International Football Academy, we understand the importance of this matter. Our football programs are in line with the highest standards and are designed to prepare players for the demands of professional football. In order to achieve that we must challenge our players through tough training sessions, competitive matches and, obviously, trials. The best International Soccer Academies know that players looking into build professional careers need to have the chance to prove themselves. BUT HOW DO TO GET A FOOTBALL TRIAL OR TRYOUT IN A PROFESSIONAL CLUB WITHOUT HAVING A NETWORK? Many reading this may have the skill required to succeed, but lack the connections. That’s a common problem and there’s no easy fix. Throughout the years we have heard stories of dodgy agents promising professional contracts to aspiring football players in exchange of several thousand of dollars or Soccer Academies deliver poor football programs and no opportunities for players to showcase their skills. The pathway to professional football is very often a landmine but at SIA International Soccer Academy we can help you reaching your full potential. SO HOW TO GET A TRIAL OR TRYOUT AT A PROFESSIONAL CLUB? Here’s a quick view on the different ways to get a trial at that level. This is the most common way players get trials. If you play for one of the best teams in your area and your team gets to the finals of every single tournament they participate in, chances are that scouts will be watching you. Most top players got their first chance this way. However there are many factors which determine if a scout ever sees you or not. Furthermore, it’s not easy to spot the intangibles that very often explain why a football players succeeds It’s very easy to get overlooked. How does recruitment work at Soccer InterAction International Football Academy? SIA has several scouts with experience at the highest level. That’s obviously an asset when it comes to spot talent. Our ability to identify skillful players and design football programs in line with their needs is a quality that set us apart from other football academies. The Academy has a network of dedicated scouts operating in a local, national and international level. We often attend matches looking for the most suitable players, particularly in the 14-21 age bracket. A scout will highlight a prospective player to our Recruitment Department. Technical Staff will then move into a thorough assessment. Finally, the Technical Department will identify what is the best pathway for that player. The Academy also collaborates with several elite clubs which allows us to find the most suitable club to each one of our academy players. Scouts from each one of those clubs visit Soccer Interaction International Soccer Academy matches and training sessions on a regular basis. We assist the scouts by providing all the technical information requested and clubs know that our academy graduates will be ready to the demands of professional football. Agents main task is to advertise you to their ‘network’ of scouts and coaches. Some of them would also be able to provide you with career advice. In return they receive 10% of your salary and/or an upfront fee. Our advise would be to not sign an agreement with an agent but if you do it please ensure that is non-exclusive (meaning you can have multiple agents instead of just one). And never pay an upfront fee. So how can you get a soccer agent? If you’ve finished your club or college football and you are ready to take the next step these is what you should do. Go to the Registered FIFA AGENTS list and start looking at the list provided. Select agents in the countries where you would like to go for trials. The reason for this is agents have the most contacts in the country they live in. Nonetheless, bare in mind that your main goal is to find a organization with the ability of providing you with the chance of showcasing your skills at the highest level. Soccer Interaction International Football Academy has a proven track record providing their players with trials at clubs from different levels. The goal is to allow our players to showcase their skills but also to provide challenges, ensuring that our player will keep developing their skills. 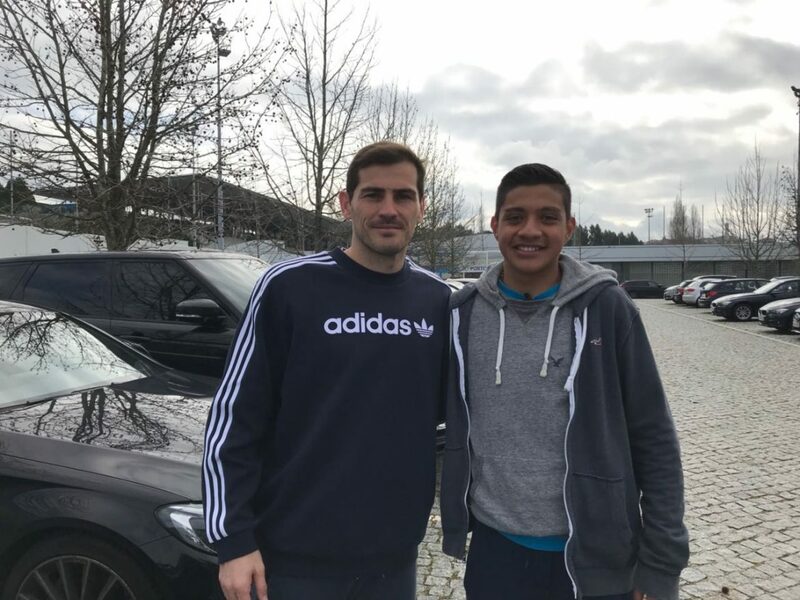 Just this week we had one of our Academy Players, Puma, trainings with FC Porto for two weeks. We have prepared him to perform at that level and he has rised up to the challenge. FC Porto technical staff was very interested in knowing more about Puma and he’s certainly under their radar. Well, we all know that there is a cloud of doubt hanging over most agents, but that doesn’t mean that they are all bad. You might know a player that has succeed in the past through the hands of an agent or you might even have a family member who works on that field. At Soccer Interaction we deal with several reliable agents that have been helpful tying us with professional clubs in several different countries. 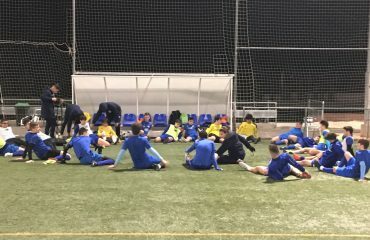 Besides FC Porto, in Portugal, we have been sending aspiring soccer players on trials to Norway, Netherlands, Spain and Germany among others and the outcome has been very interesting. Over the past decade or so, trial days and camps have become a very popular way of getting exposure. Companies will often charge a considerable amount of money to have you play at a venue where supposedly they have scouts watching. Although there are many success stories posted on these websites, we don’t know anyone personally who achieved great success using this medium. I know players that were invited to trials at professional football clubs but none of them was actually offered a professional contract. I believe that those companies truly want to help football players achieving their dreams but ID Camps might not be the best set up for an aspiring football player to showcase his skills. Soccer Interaction believes that introducing players personally and escorting them to clubs is very important. The player will feel more comfortable off filed and that will allow him to perform during the training sessions. Last week, upon our arrival to Porto, Portugal, FC Porto had an operations agent ready to speak with Puma and Adrian, our coach. That can only be achieved through strong relationships. Soccer Inter-action International Football Academy has built these relationships and expanded their network through strong core values and because it’s acknowledge as an organization that delivers excellent football programs. Mailing can be a great tool if the sender already has a good relationship with the receiver. To contact clubs yourself is a very troublesome path considering how difficult it is to build credibility when speaking for yourself. Clubs get dozens of emails every day with trial requests. The far majority are ignored as many clubs believe that their scouting department knows every single quality player available in a specific market. Nonetheless, there’s still a small chance of succeeding if your email stands out from the crowd but bare in mind that the bigger the club is the harder it is to get a response. Full-time private football academies can be a great pathway to professional football. They provide you with the opportunities, but they also prepare you for the challenge, which increases your chances of succeeding on your quest. Unfortunately, in the last couple of years a lot of Academies came to light and most of them don’t comply with the necessary requirements. SO WHAT’S THE BEST FOOTBALL ACADEMY? That’s not easy to say but Soccer Interaction surely qualifies as one of the best pathways to professional football. 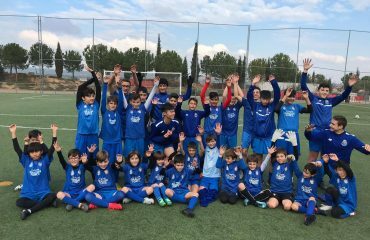 Through a partnership with FC Porto and with the guidance of FC Porto’s Technical Director in Spain, Soccer interaction is able to deliver a football program of excellence. That ensures that all academy players will be ready to cope with the difficulties that a trial may present. AND HOW TO GET TRIALS? Every 10 weeks our academy players are provided with the opportunity to trial at a professional club. Those trials allow our players to showcase their skills but are also a tool to promote development. Challenges build character and we want our players to be prepared to play in any circumstances. One of the perceived downsides, when it comes to enrolling in Private Football Academies, is the price of the programs. Some of these academies can get pretty expensive so what an aspiring football player should do is to focus on value for money. What is the coach’s pedigree? Have they worked at top clubs before? Does the academy have an hotel and a restaurant within their premises? What kind of menu does the academy offered? Does the academy offer a school program so players can pursue academic success? All of these questions are very important when it comes to decide the best option for your needs. At Soccer Interaction we have a private football centre with all in one facilities. 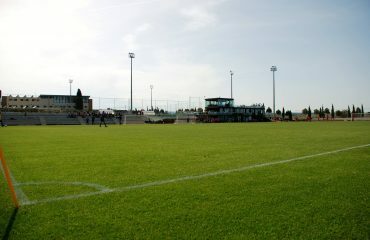 Is a state of the art football centre based in Enguera, Valencia, Spain. A great hotel with rooms fully equipped and a gym prepared to answer to all demands of professional football. A restaurant delivering menus designed by our sports nutrionist. Teachers ensuring that our players comply with their school affairs and become well rounded citizen. And for last but not least, our Technical Staff. Soccer Interaction’s Academy Director has worked for European heavyweights such as Sporting Lisbon and FC Porto and its Technical Director has been working for FC Porto for seven years now. All coaches have UEFA qualifications and follow an ongoing development program ensuring that all our players have the best football education. Soccer interaction’s football programs are in line with the highest standards and is really good value for money. This method is very effective when it comes to get a soccer trial. A football coach will have a lot of information on you. He’ll know your strengths and weaknesses and he’ll surely be able to link you to a few coaches. If your coach really believes in you he’ll go the extra mile to provide you with opportunities. Soccer Interaction coaches are in permanent contact with our Academy Director and Technical Director. Weekly technical meetings are an opportunity to share any updates on our players development and needs and every one in the department knows all the players strengths and weaknesses. Soccer Interaction is focused on providing opportunities to all our players. Through challenging training sessions, matches against tough opponents and trials at professional clubs we ensure that our players will develop their skills and increase the chances of building a career in professional football. I hope we have helped you finding the best path to professional football. Every player has a different journey though. Some go about it the standard way, play at a junior and youth level, get scouted and turn pro. Others have to follow different pathways. Nonetheless, regardless of your next step, remember that WORKING HARD is not negotiable. Have a vision, ignore the naysayers and follow your dream. Soccer Interaction is ready to help you reaching your dream of becoming a professional football player. I am 17 years of age. I am a football player, my position is right back and forward.